150 Van Ness offers the finest in San Francisco living. 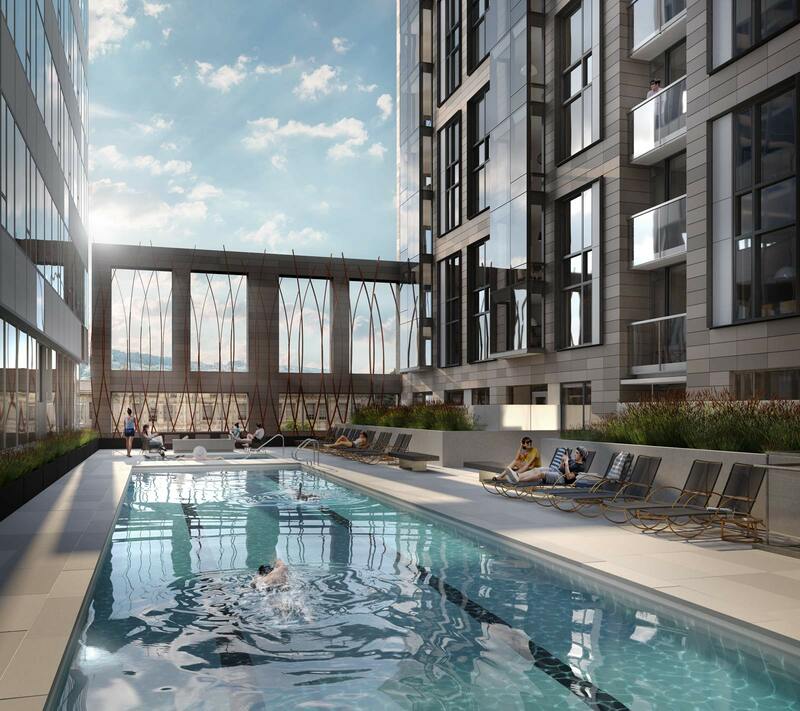 With the broadest selection of amenities in the Bay Area, 150 Van Ness is reinventing the meaning of home. 150 Van Ness is also smack-dab in the middle of it all. Located minutes from jobs, parks, bars, and restaurants, 150 Van Ness allows you to easily experience the best that San Francisco has to offer. 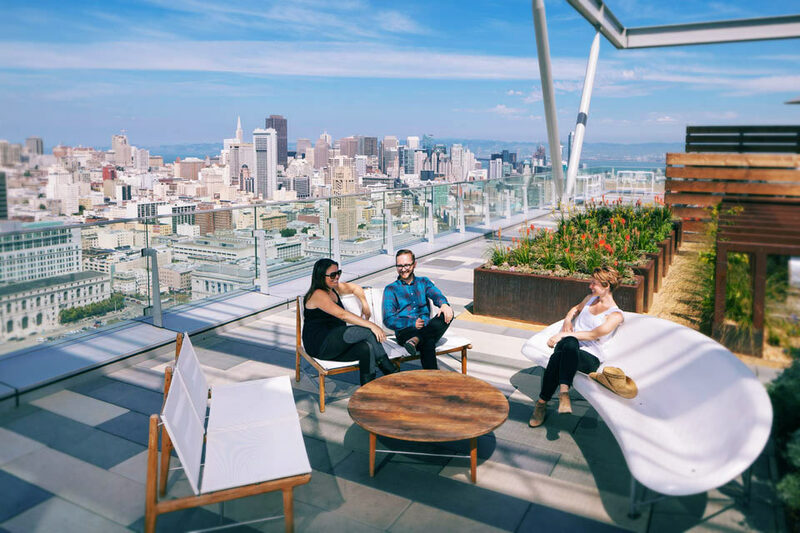 Roof Deck Take in unforgettable 360 degree panoramic views of San Francisco. Take in the unforgettable 360 degree views. Another Roof Deck Yes, there are two. This one has a pizza oven, an outdoor movie screening area, and plenty of hang out zones to enjoy with your friends. Yes, there are two. This one has a pizza oven. Swimming Pool + Hot Tub Get your swim on in the 75-foot long, heated saltwater lap pool. Follow up your workout with a long soak in the hot tub. Swim in the 75 ft long, heated saltwater lap pool. 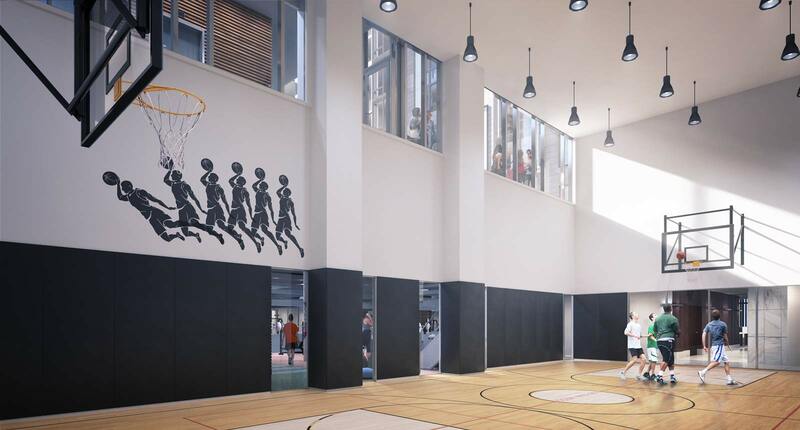 Basketball Court Become the next Splash Brother on the three-story court. Become the next Splash Brother on the three-story court. Enter a destination in San Francisco to see how easy it is to get to your office, the park, or anywhere else you want to go. 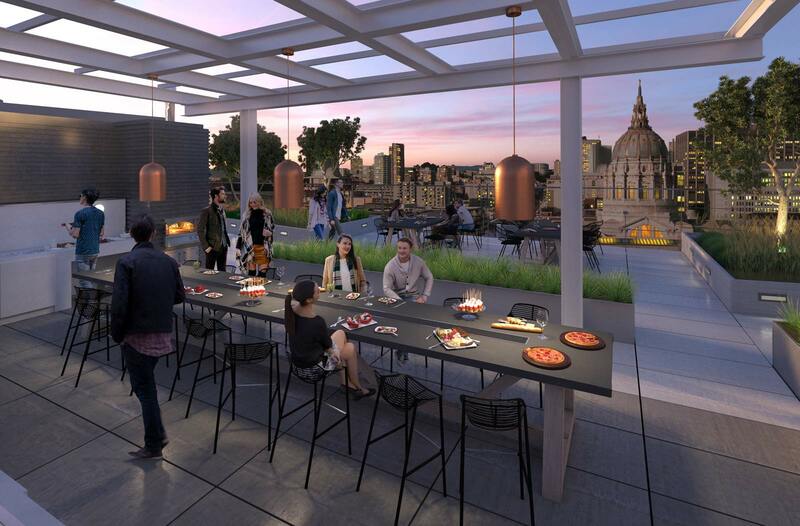 With 100 Van Ness just next door, residents will get access to additional amenities, including 100 Van Ness’s sky high roof deck with unparalleled 360 degree views.